Interior Secretary Ryan Zinke has thrown his weight behind a mining ban proposal in the Paradise Valley outside of Yellowstone National Park. 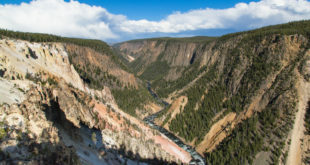 Officials have scheduled a hearing for the Yellowstone Gateway Protection Act, sponsored by U.S. Senator Jon Tester (D-MT). Opponents to mining in the Paradise Valley outside Yellowstone National Park are pressuring U.S. Senator Steve Daines (R-MT) to speak out against two mine proposals. U.S. Senator Jon Tester (D-MT) has come out against the two mining projects proposed north of Yellowstone National Park. It’s official: President Obama has signed legislation designating the American bison as the national mammal of the United States. It’s an understatement to say that bison have made a comeback.